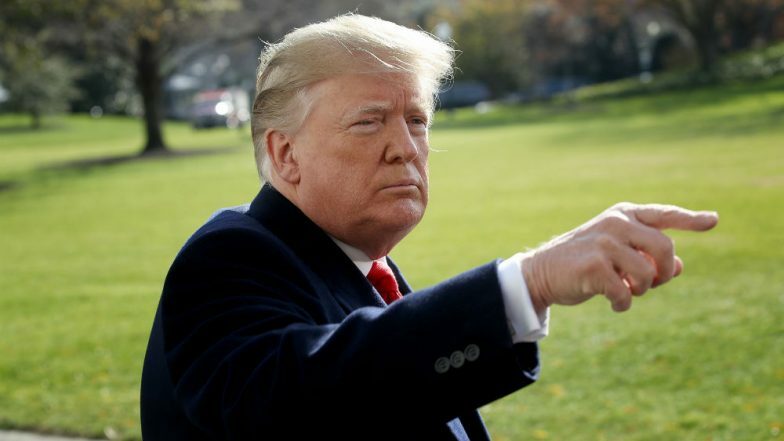 Washington, April 4: US President Donald Trump has said that he is "not concerned at all" about the alleged espionage at Mar-a-Lago, days after the Secret Service arrested a Chinese woman with a flash drive containing malware from his high-security resort in Florida. Yujing Zhang, 32, has been charged with making false statements to a federal officer and entering a restricted property after she visited Mar-a-Lago on March 30, according to the Department of Justice. According to CNN, the security breach is being seen as a possible espionage effort. Chinese Woman Arrested for Carrying Malware in US President Donald Trump's Resort. Asked about the reports of the Chinese espionage, Trump told reporters at the White House: "Well, I saw the story. Haven't spoken to anybody about it, other than I had a brief meeting. Gave me a little bit of information". "No, I'm not concerned at all," he told reporters at the White House on Wednesday. She carried a thumb drive apparently loaded with malware, the Department of Justice said in a federal indictment. The Federal Bureau of Investigation is investigating the issue. "We have very good control. We have extremely good. And it's getting better. Frankly, what we're doing with cyber is a story in itself," the US President said. "I think that was just a fluke situation, and I think that the person sitting at the front desk did a very good job, to be honest with you. I think that particular woman did a very, very good job. She was able to see things that other people were not," Trump said. Is Donald Trump's Net Worth USD 10 Billion or USD Billion?. The woman arrested by the Secret Service is now facing the consequences of whatever she had in mind, he said. "Secret Service has done a fantastic job from day one. Very happy with them," Trump added.